One of the country’s first purpose-built construction academies officially opened on 17 October at Southall Waterside. It aims to tackle the UK’s construction skills crisis and address the exodus of talent from the industry. The state-of-the-art West London Construction Academy is situated on Berkeley’s 88-acre regeneration site in Southall and will be delivered in partnership with West London College. Recent figures from the Royal Institution of Chartered Surveyors show that more people are leaving the construction industry than joining it, threatening productivity and growth. The skills shortage is now seen as an even more pressing problem in the industry than planning and regulation. With a shortage of homes, it is vital that the sector tackles the skills crisis head on. If it does not the workforce will decrease by 20–25% in the next decade. 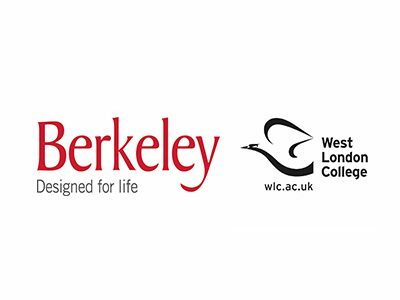 Berkeley Group chief executive Rob Perrins said: “The West London Construction Academy aims to address the industry’s skills gap for the long term by inspiring the next generation and preparing them for the world of work, including giving them the best chance of securing a placement at the end of their apprenticeships. The new ‘By Industry, For Industry’ curriculum has been designed by Berkeley Group, West London College and trade partners. Apprentices will gain on-the-job experience alongside classroom and online learning, bridging the skills gap for the long term and allowing students to earn as they learn. All apprentices will benefit from individual support from business champions and mentors. The new West London Construction Academy at Berkeley’s Southall Waterside development offers a range of state-of-the-art facilities and equipment, including future plans for virtual reality technology and 3D scanners, to ensure that apprentices have access to the very best tools to aid their learning and development. Courses available include services vital to the industry such as bricklaying, plastering, drylining and carpentry and are open to anyone aged 16 and above. This means that apprentices graduating from the academy will be given the best chance of securing employment at the end of their courses – putting their skills to use straight away. A number of positions will be available with Berkeley and its supply chain at Southall Waterside itself. This will maintain momentum and motivation and help retain skills within the industry, as well as providing the opportunity for apprentices to work on one of the most ambitious regeneration projects taking place in the UK. Once complete, Southall Waterside will deliver 3,750 new homes, a cinema, hotel, restaurants and retail together with community spaces, as well as new parks and improved access to the Grand Union Canal for the whole community to enjoy – and all on previously disused, inaccessible industrial land. The development will bring a host of wider benefits to Southall with 21,000 full-time equivalent (FTE) jobs created, 600 of which will be permanent after the project has been completed. “My apprenticeship changed my life. I was struggling between jobs but I knew I needed to do something to turn my life around. “I wanted to do something useful and productive. But even when I got my apprenticeship, I had to battle with family and friends thinking that it wasn’t as good as a degree and that I wouldn’t be learning anything. “They couldn’t be more wrong. There is no substitute for learning on the job – you get to know the practical realities of a construction site and not just the theory behind it. “I’m also working with some of the best people in the industry who have decades of experience and are generous with their time so that I can learn as much as possible from them. “I’d never really considered a career in construction until my mum pushed me to attend a careers event at my local council. I’d always imagined that I’d go to university but after talking to Berkeley at the event, I realised that I could have the best of both worlds – I could gain a high-level qualification while earning. “It has been difficult at times. I’m the only female Berkeley site manager at Kidbrooke Village, which did take some getting used to, but now I feel like a really important part of the team and have made some great friends.